Amid reports 'Deal of the Century' won't include establishment of Palestinian state, PA chief predicts peace plan won't be implemented. Palestinian Authority chief Mahmoud Abbas has predicted that the ‘Deal of the Century’ Middle East peace plan drawn up by the Trump administration will not be implemented, due in large part to the PA’s own staunch opposition to the proposal. 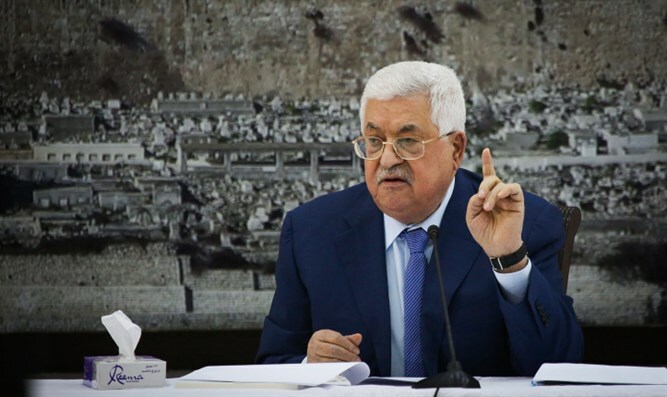 “Nothing will coming from it, it won’t amount to anything,” said Abbas. Abbas went on to condemn American recognition of Jerusalem as Israel’s capital, claiming that it disqualified Trump as a broker for peace.